Taking a naturalist motif and making it modern to suit your style is a John Hardy signature. 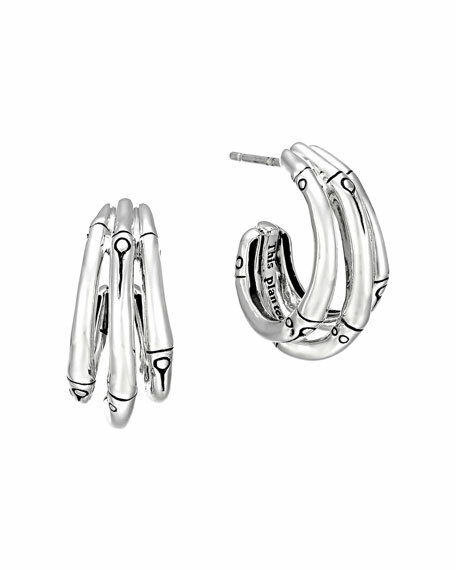 Wear this sterling silver Bamboo earrings for of-the-earth elegance. From the John Hardy Bamboo Collection. Small sterling silver bamboo hoop earrings. 3/4" diameter x 1/3" thick (18x8.2mm). For in-store inquiries, use sku #2158685.